Tom will be sharing with us his insights on brands and consumers at our PSFK 2017 conference on May 19. Get your tickets today before they sell out! Remember when Marty McFly traveled back to 1985 after his stint in the future and told all his friends, “Guys, you’ll never believe this. In the future, people won’t play games in arcades, they’ll battle it out virtually via Xbox”? Well this is exactly the poignant analogy Peloton COO and Co-Founder Tom Cortese conveyed when I asked him about the future of fitness. Rather than trek to physical four-walled institutions to work out en masse, people will break a sweat in their very own living rooms connected to a digital instructor all the while feeling more connected to their bodies than ever. It actually makes a lot of sense if you think about it. When everything else in our lives is ‘connected’, from our social networks to our entertainment systems to our home security, why wouldn’t our fitness routines be? Or put it this way: if we have Netflix that provides us with a curated library to watch our favorite films from our very own laps, why wouldn’t we be able to access workouts on-request via a similar digital library from home? I sat down with Tom Cortese to talk about the societal shift away from the big box gyms to single-serve platforms and how Peloton aims to utilize the power of Web 2.0 to marry the comfort of home fitness to the high-energy engagement of celebrity-run classes. 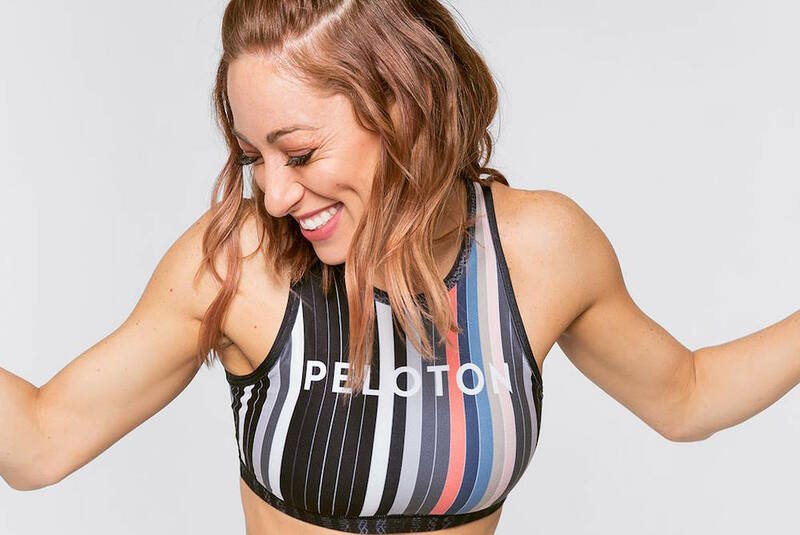 Emily: For those people out there who are not so familiar with Peloton, could you provide me with a bit of a background into what the company does and how the business concept came about? Tom: Peloton delivers live, interactive, fitness content to the most convenient place that there is to work out—the home. 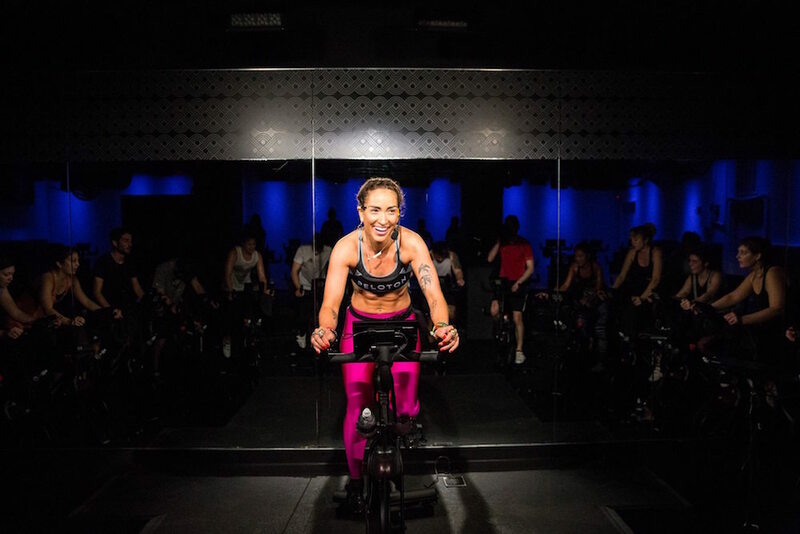 We pump out 12 to 15 live-produced classes every single day from our New York City studio to bikes around the world, run by the topmost energetic and entertaining fitness instructors on the planet. We started the business because we saw a very clear need. My wife and I have two kids, and so does our co-founder John Foley. We all lead these busy lives and it’s increasingly difficult to find time to get to the gym or get outside for a great run, and we want to stay active, we want to stay fit. I think this generation of Americans is understanding how important it is—health, wellness and fitness. We’re bringing that back into our lives but layering it onto these incredibly busy lives. Between work and kids and everything else that we have going on, we knew that there was a great opportunity to transform the home gym into something that could be just as engaging, energetic and fun as a live group class with a great instructor. When was your interest in entrepreneurship first sparked? I don’t think I’ve ever really loved working for anyone, so I think my interest in entrepreneurship’s dates back a while (laughs). 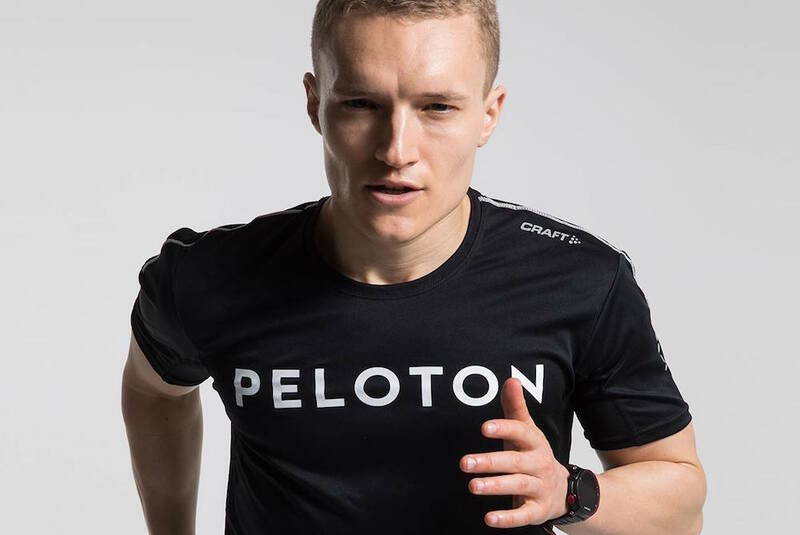 More seriously, I enjoy creating and building new things and the challenge of both creating and building a new product, a new category of experiences, and a company that can sustain the growth expectations that we have here at Peloton. That to me is what’s unique and interesting about entrepreneurship, that pure ability to create across a wide variety of categories. What were the major challenges you initially faced in getting the business off the ground? Peloton is a uniquely vertically-integrated business in that we create our own hardware, software and media, so we’re a media company and a vertically integrated retailer. We operate across 25 retail stores around the country along with our main e-commerce property and we are our own logistics company. Peloton bikes are delivered by Peloton staff themselves directly into people’s homes, so it’s like a personal concierge setting up your own unique experience. They bring it right into the room in their home that they want and don’t spend a half hour in their house fumbling with tools because the bike has already been prebuilt and tested beforehand. Instead, the time that they spend in their home is spent talking to you about how to find your favorite instructor, how to clip in with the shoes, answering any of the questions and all of our staff who deliver bikes have bikes and love riding, so it’s a great conversation. We’re uniquely vertically integrated business across multiple disciplines. I think that was really scary to a lot of early investors. They thought that our eyes were bigger than our stomachs. How did you initially twist their arm? We spent the first two years in R&D and fundraising, so we started the business in January 2012 and we put the first bike in the first home in January 2014. In those two years, we iterated through a variety of prototypes and at each stage were able to show our progress to a mix of interested and uninterested parties. Along the way picked up enough believers. In fact, our initial funding base came from over 100 angel investors. Individuals who can write sizable, but small in the world of venture capital, small checks that equated to sufficient funding for us to make it through that first two-year R&D period. What sets the company apart from its competitors in this space like SoulCycle and FlyWheel? What really sets us apart is that we live at the intersection of technology, fitness, and media. I often get asked the question, “Couldn’t SoulCycle build something like this?” but to be honest, the “Couldn’t Netflix build something like this?” is a scarier question, because when you ask an obsessed Peloton rider what they love so much about Peloton, they’re not going to talk about the software or the bike itself. They’re going to talk about their instructors and the actual class that motivates them to ride hide 45 minutes every single day. We see the real value of Peloton and the Peloton experience being our unique ability to bring these three pieces together. In fact, it’s been ingrained in the Peloton DNA since day one. Where Netflix is a media company, SoulCycle is a fitness company and there are a few software companies that are trying to do something in fitness, we think the magic is at the intersection of all three. Being the Yoda of fitness that you are, what are some of the biggest ideas and shifts that we’ll be seeing in the fitness industry in 2017 and beyond? As you can imagine, we firmly believe that ultimately the best place to work out is home. We think that there is a shift away from the big box gyms to single-serve platforms. We think that Peloton can be the broadest of these platforms because we can provide you the three to five workouts during the week that you need. For me, I can get up at six o’clock in the morning, be on my Peloton bike which is at the foot of my bed in my thousand-square foot apartment. By seven o’clock I’m not only done with my workout but I’m showered and dressed. Thankfully, my kids wake up at seven (I owe that to my wife for instilling great sleeping habits into them). My kids wake up at seven and from seven o’clock to eight o’clock, the boys and I have breakfast together, play together and get to enjoy an hour of time together because of Peloton. Then I hop on the subway and go into the office. If I were to drive to the gym or go to a class, none of that would be possible because a 45-minute workout easily becomes an hour and a half, maybe two hours. You simply lose that time. 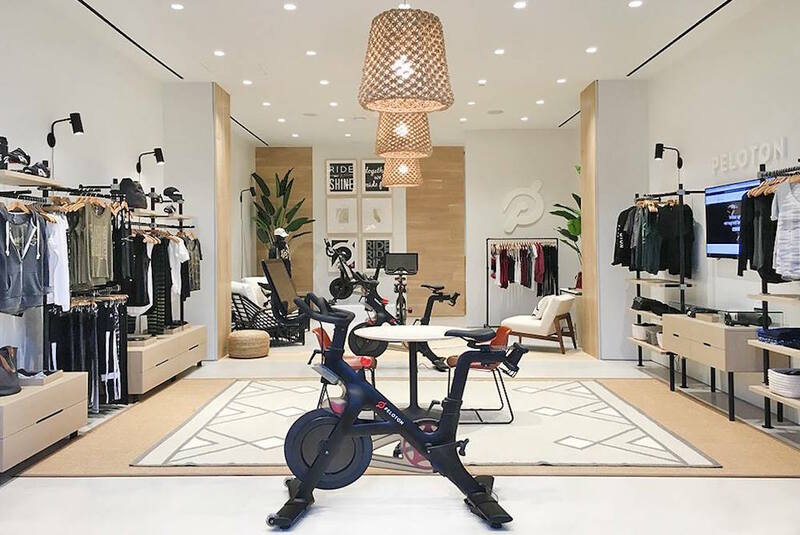 We see a shift away from the big box gyms to these single-serve platforms like the boutique fitness companies that you see—Orangetheory, and CrossFit and SoulCycle—and the home really replacing the big box gym. What are the important consumer attitudes and behaviors around fitness that you see shaping this marketplace? First of all, being fit and healthy is now so engrained in our culture. I know more people who take their first date out to a yoga class or a spin class than I do who take them out for a drink. Yeah. It’s a shift. Back in the day, your PR firm would always take you out to dinner and drinks, but now your PR firm takes you to a flywheel class or a boot camp class. Fitness, health and wellness is a crucial part of our culture now because we understand that we need to take good care of our bodies and we understand why. The days of drinking Coke and eating Cheetos are long behind us! It’s kale chips, a yoga class and a run in the park. Ultimately I think this is a very positive shift for humanity. We’re taking better care of ourselves, and as a culture, we’re valuing taking better care of ourselves. There was a “Bloomberg” headline not too long ago about how the rich are getting fitter, but it’s not just the wealthy anymore. This is the direction the entire country and Western world is moving. 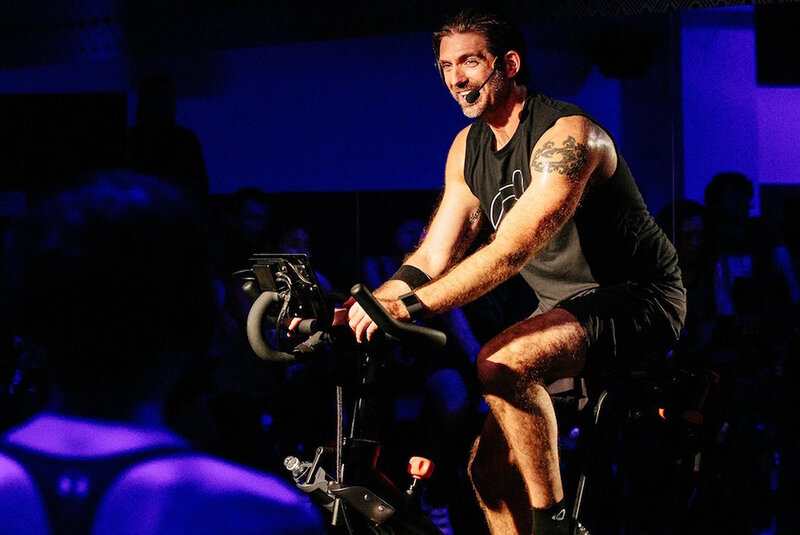 How does Peloton grow its phenomenal community of talented instructors? We have a small but dedicated team of recruiters that work much like baseball recruiters who go and view players in the minor leagues. Ours are observing fitness personalities across the country and trying to understand who meets our criteria. We obviously value folks with a strong grounding in fitness and how the body works and moves, who know how to structure and create a great fitness program. That being said, we also put a great deal of value on the entertainment factor. We’re not shy about this. We all have a finite amount of willpower, to the extent that you have to use that willpower to manage the rest of life. If you could enjoy your workout in the morning and actually want to show up, we think that’s the most important thing. Thirdly, we value a variety of genuine, unique personalities. 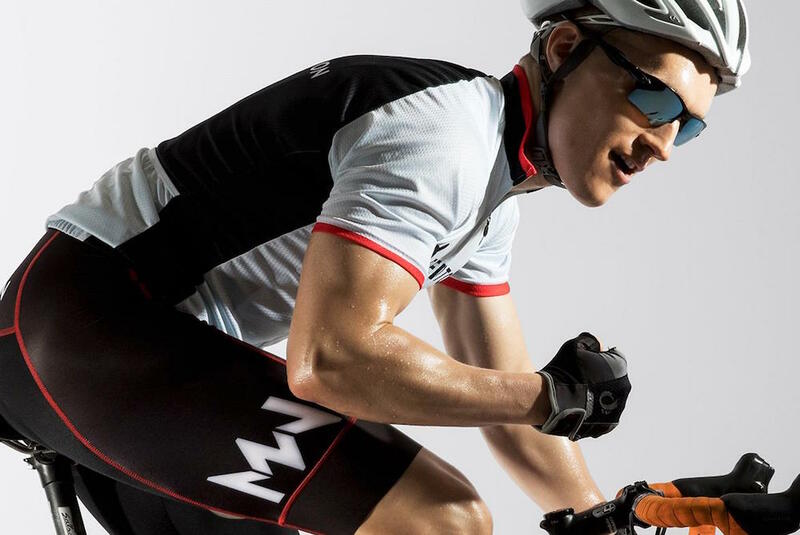 We have one instructor whose name is Matt Wilpers who is a former collegiate athlete, runner and cyclist. He teaches a regimented class where he spends all night in a spreadsheet timing out his class perfectly. There are people who love that. They love coming to that class. On the other end of the spectrum, we have another instructor called Jess King who is a former dancer and athlete. Jess’s class is all about pop music and having fun. She’s dancing on a bike. She’s delivering colored commentary throughout the class. You forget that you’re there to work out because it’s just so much fun to be with Jess in the morning for that ride. You still want to make it again tomorrow. We value that variety. Each person at home may be in a different mood each day or seek a different type of workout. We want you, your family and friends at home riding the Peloton bike. There’s really something for everyone. You once said in a former interview that you’re able to bring a very new attitude and approach coming from the tech sector into the fitness sector. Can you perhaps elaborate on what you meant by this? The fitness world operates completely differently. At the end of the day, it might just be as simple as, whether it’s home fitness equipment or home workouts generally, the fitness space has not evolved for over 30 years. When Jane Fonda put a home workout on a VHS in the 80s and delivered it to home, it was a game changer. I remember my parents taking advantage of those VHSs for the same reason I am taking advantage of my Peloton bike today. The craziest thing about that is that the same production formula that Jane Fonda put out on VHS just hasn’t changed. Sure, it’s moved medium, from VHS to CD to DVD to LaserDisc to Blu-ray to streaming and apps. I could find it on my Samsung TV now. Sure, there are new brand names like Daily Burn and FitStar. However, the number of streaming platforms now that put out that same formulaic one way communication home video hasn’t evolved— where the instructor’s in front, extras are in the back, and everybody’s moving and smiling in perfect synch. What we thought was really interesting coming from the tech industry is that there’s this amazing world of connected technologies that exist today, mostly driven by the advent of the Internet. There are so many wonderful ways in which we can now connect more seamlessly because of it. How wonderful would it be to take all that power of the connected Web and bring that into the fitness space to create this truly interactive media platform? Where even from the comfort of my own home, I feel completely engaged, with a real life community of people struggling along with me and an instructor encouraging me along? That’s an amazing opportunity and a massive miss that no one in fitness was looking at. Currently the industry is essentially looking at building more studios, opening up more gyms, creating more ugly home fitness equipment with lots of plastics. I don’t know what’s wrong with the industrial designers these people hire. They need to think about design just a little bit. Think about who the end user is. We spent a lot of time here at Peloton thinking about the user experience, because that’s something we always had to do when working in the tech industry—thinking about the way in which our end consumer is going to interact with us at every touchpoint, which is why we’re crazy enough to deliver the bikes ourselves with our very own people. Our biggest touch point? Showing up in your home. We don’t want a refrigerator repairman showing up in your house. We want someone who represents Peloton showing up in your home because that’s part of the user experience. When you touch the seat, I don’t care that it cost us $10 more to use that material on the seat. When you touch the seat, it feels intentional and it feels premium and it feels like Peloton. When you interact with the classes, it’s this whole new world of genuine interactive media that you just don’t see anywhere else. You once said you didn’t set out to just reshape a piece of fitness equipment. You set out to bring a totally different experience to people. I know this is quite general, but why do you believe it’s more important that brands today focus on experiences over purely products? Experience obviously transcends the product. A pure focus on consumer packaged good that is purchased, loved at the moment of purchase, and forgotten after doesn’t give you a long-term connection to the customer or allow you to build a plan that extends well beyond that single product at a single moment in time. Our core job is to deliver you a remarkable, well-differentiated experience mapped in and mapped out. Our promise to our customers is that for the same $39 a month that you pay us, everyone in your household has access to everything that Peloton has to offer. Our promise is that we are going to continue to invest in that experience so much that you continue to see more and more value for that same $39 over time. It’s crazy because that $39 is the same price of one SoulCycle class. Exactly. We believe it’s important that it’s $39 for unlimited access to unlimited classes for unlimited people in your household. Just the other day, I was on my Peloton bike and my wife loaded up our iPad app to take one of Robin Arzon’s ab workout classes. That’s all under that same subscription. 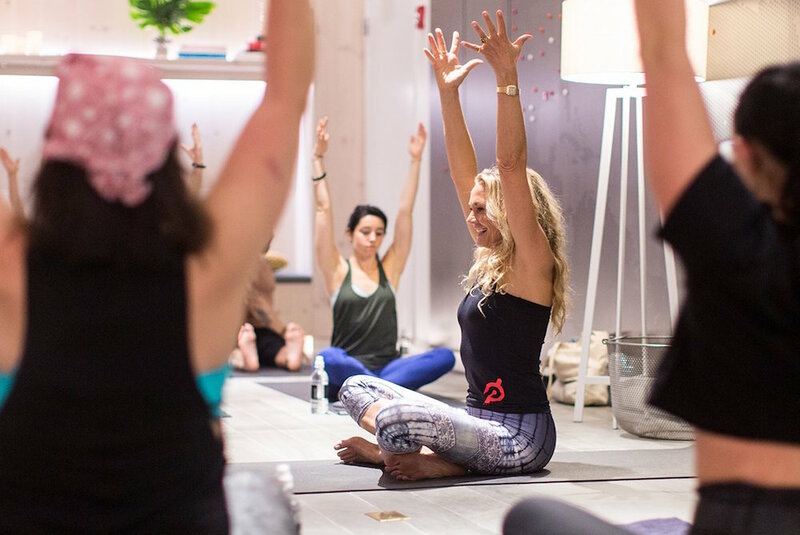 We started with the bike, but we now offer yoga from Colleen Saidman Yee, who’s one of the top yogis on the planet. We have shadowboxing classes, abs classes, calisthenics, stretching, the works. We’re continuing to add to that library, so that you really can have a full well-rounded workout for the entire household for that one $39 fee. It truly is the Netflix of fitness! If we could jump into a time machine, Marty McFly style, what are your predictions about the direction the fitness industry might take in the next 10 or 20 years in terms of new technology and trends? I don’t think that we’re going to be the first or the last to innovate around fitness at home. I think you’re going to see this category grow. It’s been a stagnant category for so long. You think of the fitness movement at home and you think about the tacky treadmill with clothes hanging all over it, right? Well I think that perception is going to shift. The most elegant, high-tech, connected and energetic fitness routines may soon be everywhere other than the gym. 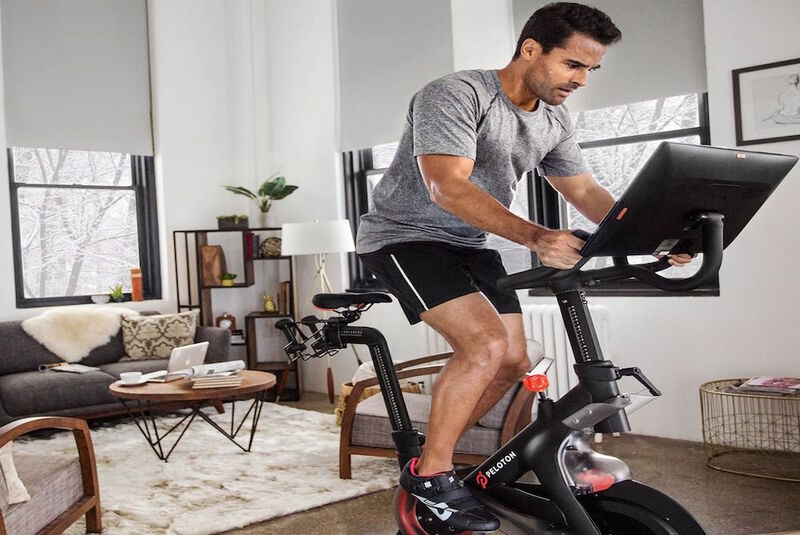 Whether it’s through virtual reality or your smart TV or connected devices like the current Peloton bike, we see a host of opportunity for interactive technology to make home fitness one of the most attractive places to work out. We sometimes equate it to what happened to arcades. In the 1970s you may have been hanging out with your friends at an arcade drinking Dr. Pepper and smoking a cigarette, popping quarters into a pinball machine. If Marty McFly showed up from the future and came into that room and said, “Guys, there’s this thing now called Xbox Live. In the new millennium, arcades are going to be gone, and the most connected, interactive and dun place for you to get together with friends and play video games is going to be in your home,” everybody in the arcade would have laughed at you. Well, they’re gone now and Xbox Live is this massive, globally connected gaming platform and there’s nothing else like it! If you could go back and give the younger you advice about starting out, what would it be? Take everything one step at a time. That’s my answer. When I ran my first marathon, the advice that was given to me is the same advice that I would give my youthful self about starting a business. Which was, you can absolutely run one mile. Don’t worry about running 26. Just run one, and run the next one, and then the next. I think that’s very powerful advice. Don’t stare up at the mountain of hurt in front of you and be frightened. Stare right in front of you at the achievable first mile, and then do it again. What can we expect next from Peloton in terms of launches and new projects? We never intended to be just a cycling company and don’t expect that just because our first product came in the form of a bicycle in your home. Don’t expect us to narrowly define ourselves as some sort of cycling company. We will be the home gym full stop. Ultimately we think that what we’ve unlocked with the Peloton bike translates really well into a number of other amazing workouts. We intend to keep creating! Thanks for the lowdown, Tom! Come see Tom take the stage to talk about the future of fitness at our PSFK 2017 conference on May 19. Get your tickets today before they sell out! With Peloton, Tom is designing a whole new way for people to get fit. At-home fitness equipment has not evolved at the same pace as the group exercise classes that take advantage of trends in fitness, fashion and music to keep you motivated. Peloton has changed this by marrying sophisticated technology with beautiful and thoughtfully designed fitness equipment.